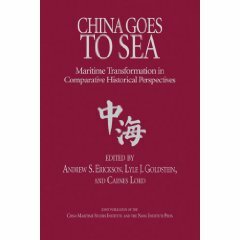 59 China, according to one set of observers, initiated studies on possible aircraft carrier options in the 1990s, and approved a formal aircraft carrier program in 2004. (Andrew S. Erickson and Gabriel B. Collins, “The Calm Before the Storm,” FP [Foreign Policy] National Security, September 26, 2012.) Another observer dates Chinese activities in support of an eventual aircraft carrier program back to the 1980s. 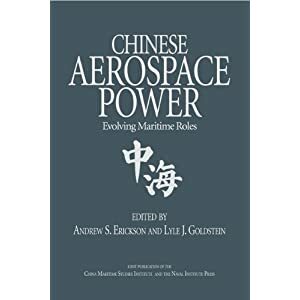 (Torbjorg Hemmingsen, “PLAN For Action: New Dawn for Chinese Naval Aviation,” Jane’s Navy International, June 2012: 12-17.) 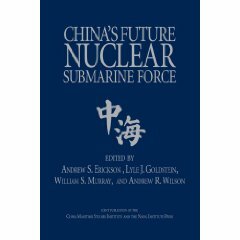 See also Andrew Scobell, Michael McMahon, and Cortez A. Cooper III, “China’s Aircraft Carrier Program,” Naval War College Review, Autumn 2015, pp. 65-79. 60 See, for example, Jamie Seidel, “China Is About to Launch Its Second Aircraft Carrier, 001A,” News.com.au, March 6, 2017. 61 The Soviet Union began work on the Varyag in a shipyard in Ukraine, which at the time was part of the Soviet Union. Following the dissolution of the Soviet Union, construction work on the ship stopped and the unfinished ship became the property of Ukraine. For a discussion, see James Holmes, “The Long Strange Trip of China’s First Aircraft Carrier,” Foreign Policy, February 3, 2015; Chen Chu-chun and Staff Reporter, “Man Who Bought Varyag From Ukraine Plied Officials With Liquor,” Want China Times, January 22, 2015. 62 IHS Jane’s Fighting Ships 2016-2017 lists a full load displacement of 59,439 tons for the ship. Source: “Highlights of Liaoning Carrier’s One-Year Service,” China Daily, September 26, 2013, accessed September 30, 2013, at http://www.china.org.cn/china/2013-09/26/content_30142217.htm. This picture shows the ship during a sea trial in October 2012. 63 Wendell Minnick, “Chinese Carrier’s Purported Air Wing Deemed Plausible But Limited,” Defense News (www.defensenews.com), September 7, 2014. 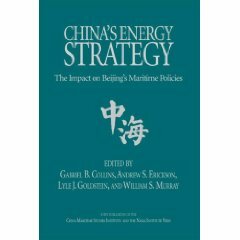 64 See, for example, 2015 ONI Report, p. 23, and “China Plans New Generation of Carriers as Sea Disputes Grow,” Bloomberg News, April 24, 2013. 65 2016 DOD CMSD, p. 28. It seems to most PLAN watchers that PLAN has been able to [develop] carrier aviation operations reasonably quickly since CV-16 [i.e., Liaoning] was first commissioned. In the 4 years since that time, we have seen more intensive take-off and landings from CV-16. CV-16 was even declared fully operational and combat ready earlier this year. It seemed a little premature at the time, since how would one quantify the move from training to combat ready. This most recent deployment does seem to resemble a combat ready carrier operation. First of all, we saw more aircraft on deck than at any time before. There were pictures showing 13 J-15s and 1 Z-18 [helicopter] on deck at the same time. I am sure more aircraft were in the hangar at the time. There were also pictures showing 7 helicopters and multiple J-15s at the same time. That’s definitely something [the] Russian Navy is not capable of carrying out at the moment. Secondly, the J-15s appeared to have been taking off and landing in very quick succession based on the still photos that we saw. There were 2 J-15s set up in take off location with more J-15 looked ready to be moved over after each takeoff. We have yet to see night time operation photos of J-15, but this reportedly have also taken place in South China Sea. After that, the next big hurdle for J-15 operations would be taking off and landing in bad weather and high sea state conditions. What they have achieved thus far in terms of flight operation intensity at different times of day is something they didn’t even train on land before PLAAF’s modernization efforts. And finally, we have seen a variety of helicopters and J-15s set up for different missions. J-15s have been shown carrying AAMs and AShMs [anti-ship missiles] for air superiority roles and anti-shipping roles. An EW [electronic warfare] variant of [the] J-15 was developed and flew last year. We have also seen J-15 with [an] UPAZ-1A refueling pod under [its] centerline to allow for buddy to buddy refueling. 66 2015 ONI Report, p. 23. 67 2016 DOD CMSD, pp. 27-28. 68 2015 ONI Report, p. 13. 69 2015 ONI Report, p. 23. 70 “Over 20 J-15 Fighters Can Land on the Liaoning Aircraft Carrier,” People’s Daily Online, September 7, 2015. 71 Associated Press, “China Says Aircraft Carrier Now Ready for Combat,” Washington Post, November 15, 2016; Jesse Johnson, “China Says Its First Aircraft Carrier Is Now ‘Combat Ready,’” Japan Times, November 15, 2016. But improvements also appear to extend to technical matters. Its flight deck arrangement has been changed, as have the sponsons — projections from the sides of the ship holding weapons, sensors and other equipment. This, combined with an enlarged hangar, is said to allow 001A to carry between six and eight more fighter jets than the 24 Liaoning can stow. 72 Feng, “Naval Aviation,” China Air and Naval Power, January 7, 2017. See also K.J.M. Varma, “China Developing Naval Aviation Wing to Operate from Aircraft [Carrier],” Live Mint, August 11, 2016. November 18, 2015: 8; Jeffrey Lin and P.W. Singer, “China’s First Homemade Carrier Moves Forward,” Popular Science, October 27, 2015; Nanae Kurashige, “China Building First of Two Domestic Aircraft Carriers,” Asahi Shimbun, October 21, 2015; Brendan McGarry, “Satellite Images May Show China’s First Domestic Aircraft Carrier,” Defense Tech, October 1, 2015; Ankit Panda, “Is This China’s First Homemade Aircraft Carrier?” The Diplomat, October 2, 2015; Sam LaGrone, “China’s Domestic Aircraft Carrier Almost Certainly Under Construction,” USNI News, September 30, 2015; J.R. Wu, “China Building Two Aircraft Carriers: Taiwan Defense Ministry Report,” Reuters, September 3, 2015; Bradley Perrett, “China Building Third Carrier, Taiwanese Report Says,” Aerospace Daily & Defense Report, September 16, 2015: 4. 74 See, for example, “China’s New Aircraft Carrier to Be Launched Early 2017 And to Enter Service by 2020, Experts Say,” People’s Daily Online, February 15, 2017; Sean O’Connor, “China’s First Indigenous Aircraft Carrier Nearing Completion,” IHS Jane’s Defence Weekly, August 17, 2016. 75 Minnie Chan, “China Building Navy’s Biggest Amphibious Assault Vessel, Sources Say,” South China Morning Post, March 29, 2017. Source: Photo captioned “The new aircraft carrier, Project 001A, takes shape in China’s Dalian shipyard. It is almost due to be launched. Picture taken on Nov. 30, 2016. Picture: DigitalGlobe via Google EarthSource: Supplied,” published as part of Jamie Seidel, “China Is About to Launch Its Second Aircraft Carrier, 001A,” News.com.au, March 6, 2017. The control-tower superstructure also appears to have been modified to accommodate new radars and masts. It was lifted into place on the new hull late last year. “The Type 001A has learned from US carriers to focus on how to make aircraft on board more functional.” Beijing-based military analyst Li Jie recently told the South China Morning Post. While the ship may appear visually complete, it is yet to be fitted out. This means it is largely empty, with equipment such as radios and radars — even kitchen appliances and crew bunks — still needing to be installed. Source: Photo captioned “China’s first domestically made aircraft carrier under construction in Dalian in early December 2016. Picture via Kyodo Source: Supplied, published as part of Jamie Seidel, “China Is About to Launch Its Second Aircraft Carrier, 001A,” News.com.au, March 6, 2017.